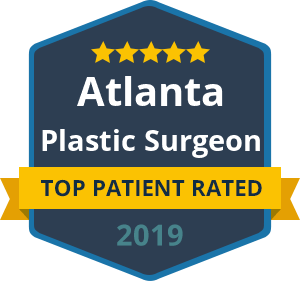 A skilled and experienced plastic surgeon will use techniques to minimize your recovery and downtime as much as possible after plastic surgery. However, there are still specific guidelines you’ll need to follow for any type of surgical procedure; facial plastic surgery is no exception. Adhering to your surgeon’s post-operative instructions is very important in order to protect your safety and accelerate your healing. Neglecting to take these rules seriously may sabotage your results and extend your recovery period even more. 1. DON’T take over-the-counter medications and supplements without consulting your surgeon. Aspirin, Vitamin E and other specific pharmaceuticals can lead to serious bleeding before or after your procedure. In addition, there are some products and supplements that may seem harmless, but they can actually increase your risk for bruising. Always discuss any over-the-counter medications or supplements that you are taking with your surgeon, as they may promote blood vessel fragility or increase your risk for bleeding post surgery. Smoking should be avoided for at least 4 to 6 weeks before surgery. Smoking is a vasoconstrictor, meaning that it can constrict your blood vessels, inhibit proper blood supply and ultimately delay healing at the surgical site. In addition, smoking has been known to increase patients’ risk for surgical complications, including pneumonia and infection. 3. DON’T return back to the gym too soon. Resuming exercise should be something you listen closely to your surgeon about. Although you may feel fine or think that using your legs wouldn’t compromise your facial surgery, there is a risk to increasing your heart rate and blood pressure sooner than instructed. Until you are told to do so, keep your exercise light and easy. Just one hard workout session at the gym could extend your recovery time or even threaten your cosmetic results. At Beverly Hills Center for Facial Plastic Surgery, we not only offer the most advanced cosmetic procedures of your choice, but we also value the importance of making sure your recovery is quick, safe and comfortable. In doing so, we always give our patients detailed instructions for the days and weeks following their plastic surgery. For those that want to avoid the surgical risk and associated downtime altogether, we offer a number of minimally to non-invasive procedures that can comfortably rejuvenate your appearance.